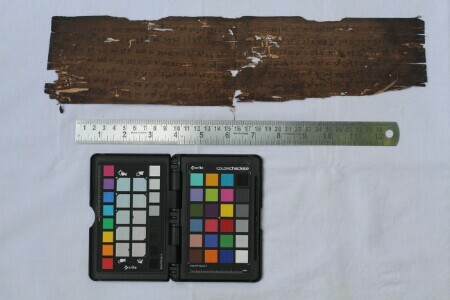 This manuscript fragment contain blessings. The text written in this manuscript are chantings which are recited to give blessings. This manuscript contain allusions to ancestors seeking their blessings. The ancestors are offered chickens and it is believed that these chickens die when mantras from this manuscript are recited. The folios are too damaged to decipher the content of the manuscript. This manuscript contain alludings to ancestors seeking their blessings. The ancestors are offered chickens and it is believed that these chickens die when mantras from this manuscript are recited.